Publisher: Swan Sonnenschein & Co., 1889. 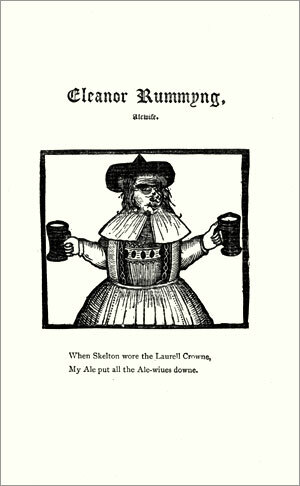 Reprint: BeerBooks.com, 2008. Hard Cover, 449 pages, 6x9. 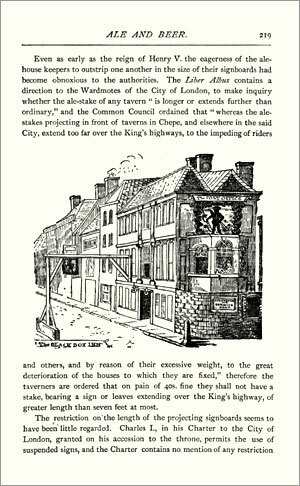 Here is BeerBooks.com's reprint edition of John Bickerdyke's original 1889 book, Curiosities of Ale & Beer. 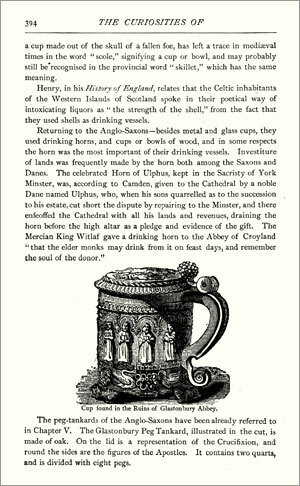 When the author first began researching what he called "the antiquities of ale and beer," he was shocked to find that no comprehensive volume had ever been written on the subject. 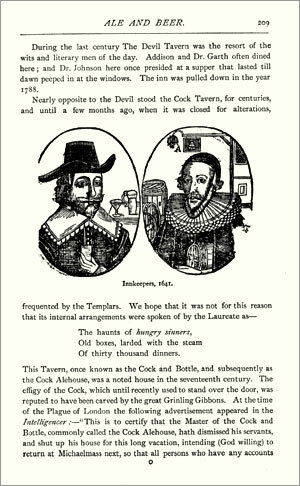 In 1889, Bickerdyke corrected that injustice with publication of this book. 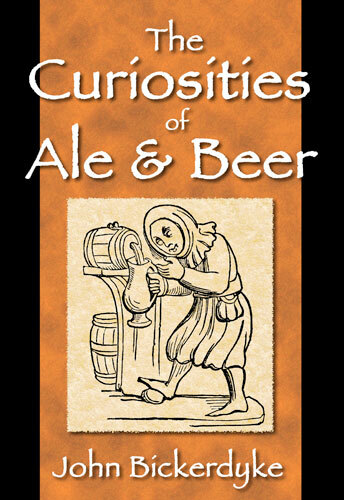 In the words of the author himself, his tome was responsible for "the bringing to light of many curious facts, so far as I am aware, never before noticed" about the role of ale and beer in the history of mankind. 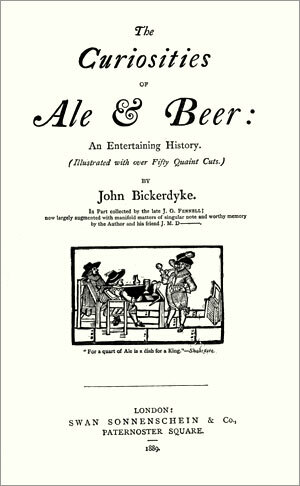 Starting in ancient Egypt, Bickerdyke traces the evolution of beer and brewing up through the late 1800s. 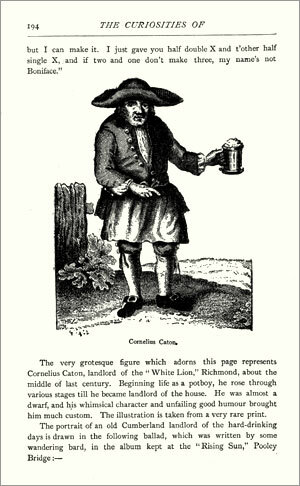 Along the way, he illuminates nearly every facet of beer�s colorful saga -- ancient recipes, hops and malt, beer laws and regulations, drinking customs, beer songs and ballads, "ale-wives," inns and taverns, porter and stout, ancient drinking vessels, brewers of old London, and much more. 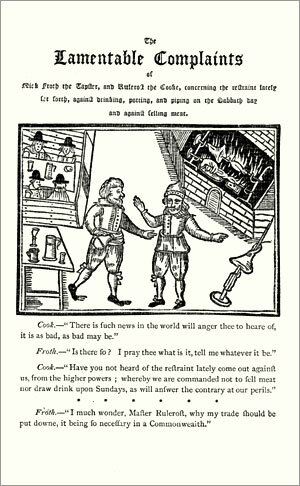 The book includes over 50 woodcut illustrations. 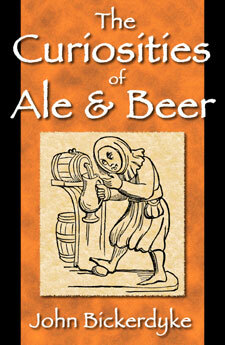 What an incredible resource of brewing fun, fact and fancy! 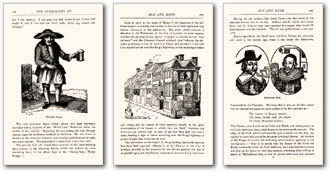 To make this rare brewing text more widely available, BeerBooks.com has reprinted the book. An 1889 first edition copy was digitally scanned, professionally enhanced, and reissued in a hard cover format. 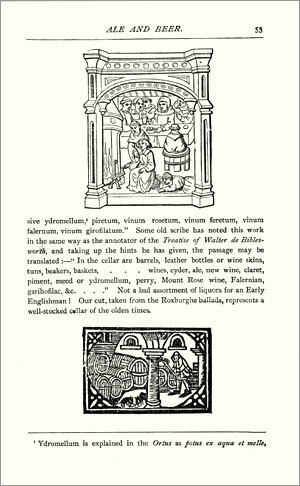 All pages are reproduced exactly as they appeared at the time of publication in 1889, including the more than 50 original woodcuts.  Suppression of Beer-shops in Egypt 2,000 B.C.  "A Pot of Porter Oh!"